One product that most car audio retailers offer that can benefit anyone with a car, truck or SUV is sound deadener. 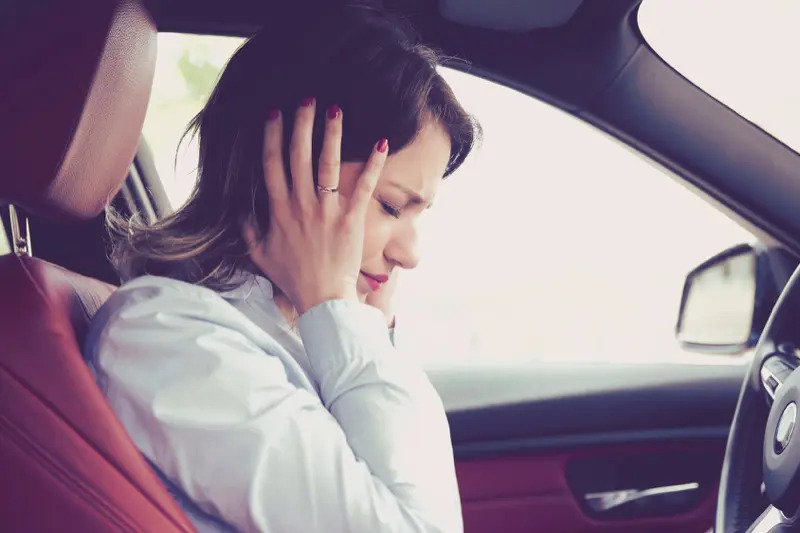 If your vehicle is noisy inside, gets hot quickly or people have trouble hearing you during hands-free phone calls, applying sound deadening can help dramatically. In this article, we’ll explain how sound deadening works and talk about the key benefits of adding damping material to your car, truck or SUV. 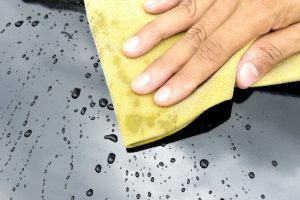 If you have ever had the opportunity to look under the carpet or trim panels inside your car or truck, you may have seen patches of rubber or strips of butyl adhered to the body panels. The addition of this material by the automobile manufacturer adds mass to the metal panel. This added mass makes it harder for noise outside the vehicle to vibrate the panel and transfer noise to the interior of the vehicle. Aftermarket sound deadening products work the same way. Most sound deadening is sold in sheets or rolls. The material is very dense and has one surface that includes a strong adhesive. Your installer can apply the material to flat metal surfaces like the doors, floor, roof, firewall, rear fenders and trunk of your vehicle. Many damping materials like Dynamat Xtreme, Stinger RoadKill Expert, Wirez Premium Sound Deadening and Hushmat Ultra include a layer of aluminum on top of the flexible base layer. This aluminum adds strength to the damping material and allows it to span openings in door panels. Some damping materials include a layer of closed-cell foam on top of the aluminum layer. Focal BAM and SoundSkins Pro are two common examples of damping materials with foam. Wirez, Dynamat and several other companies offer foam on its own as another option. This foam layer helps to reduce vibrations and rattles from objects touching the damping material. Under floors, it can prevent wire harnesses and cabling from buzzing. In doors, it prevents the rods that activate the door release mechanism and locks from rattling. Another option for sound deadening is a spray-on solution. Cascade Audio Quiet Kote, Boom Mat Spray-On and bedliners like Line-X are a great way to add mass to flat metal surfaces. Several years ago, we took part in a test of the noise reduction capabilities of sound deadening material. The vehicle in question was a 2007 Jeep Grand Cherokee SRT with the 6.1-liter Hemi. The test started with three baseline measurements of the noise inside the vehicle. We took SPL measurements with the vehicle at idle and cruising at 40 miles per hour and 60 miles per hour. Happy with the measurements, we applied a layer of aluminum-backed damping material to the inner and outer door skins of the truck and repeated the measurements. Impressed by our findings, the last step was to treat the cargo area of the Jeep and repeat the tests once again. As you can see from the chart below, the results are impressive. Had we chosen a vehicle that came from the factory without a moderate amount of sound damping, the results would have been even more impressive. If you look at any of the sound deadening manufacturers’ websites, it will quickly become apparent that they all claim that adding sound deadening will improve the performance of your sound system. This is absolutely true and it helps in two unique and different ways. 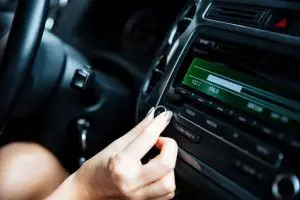 First, by simply reducing the background noise in your car or truck, you improve the effective signal-to-noise ratio of your stereo. What does this mean? Having less background noise makes it easier for you to hear the quiet parts of your music. 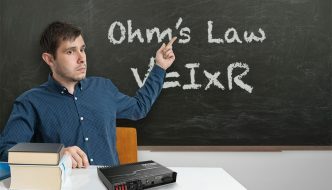 Imagine if you were listening to a track at a volume level of 100dB. 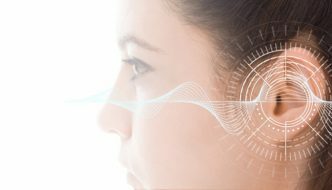 If you have background noise level of 95 dB, any portion of the song that is around the 95dB level will have to battle with the background noise to be heard. If you can reduce the noise level in your car to 90 dB, you can hear more of your music. The second and perhaps the most significant benefit of sound deadening is to improve the effectiveness of the speakers in your vehicle. In most cases, the doors of your car, truck or SUV have a hole in the inner skin for the speaker, and access holes for the window regulator, door handle and locking mechanism. A speaker produces an equal amount of sound from the front of its cone as from the back. If these two sound sources mix, they cancel each other out. This cancellation happens most often in lower frequencies, say below 300 Hz. If you were to compare the in-car frequency response of a speaker mounted in the factory door location to that of a vehicle where a layer of sound deadening has been applied to the inner surface of the door, you would see a dramatic increase in bass output. 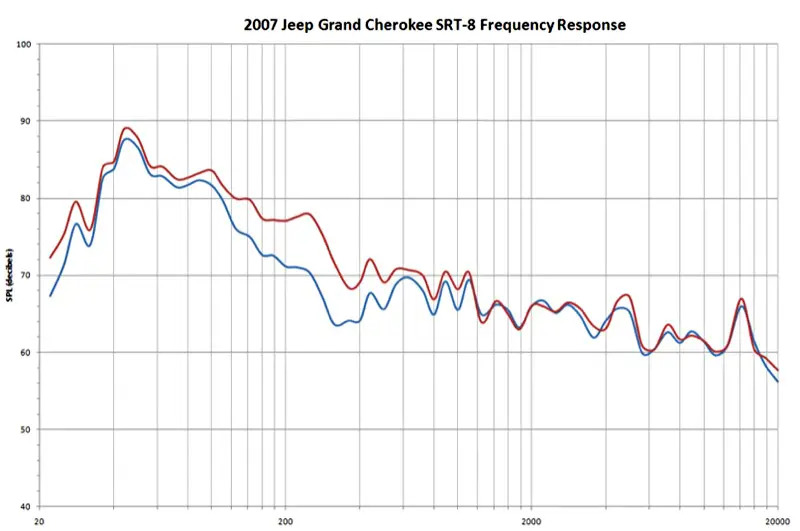 The graph below shows this very test in that 2007 Jeep Grand Cherokee. The effective output from the factory-installed 6×9 woofer increased by a jaw-dropping 8dB at 240Hz. The gains were visible for all frequencies below about 400Hz, which was, in this application, likely the upper crossover frequency of the speaker. Another cool new product designed to help improve the performance of your sound system is Stinger’s RoadKill Fast Rings. These rings mount around the face of your door or rear parcel shelf speakers and seal up against the trim panel. The concept is that they help to channel all the sound from your speaker into the interior of the vehicle, rather than allowing it to bounce around inside the door. The rings also help reduce panel vibrations for better sound performance. 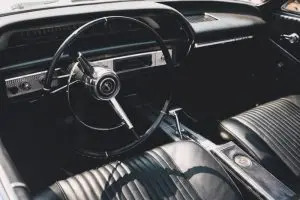 If you watch TV shows like “Detroit Muscle,” “Truck Tech” or “Overhaulin’,” you’ve undoubtedly seen the guys apply a thorough layer of sound deadening material to the floor of some of the coolest hot rods ever. Not only do these materials help keep your vehicle quiet, but they also help block heat from the road, engine, transmission and exhaust from heating up the interior of your vehicle. Dynaliner from Dynamic Control of North America, D-Mat from Design Engineering and the aptly named Heat Barrier from Thermo-Tec are specifically designed to prevent heat transfer into the interior of your vehicle. Most shops latch onto a particular brand of sound deadening material that they find effective and reliable. In most cases, you can trust their choice. If you want to get picky, the most important aspect of choosing a high-quality damping material is to select one that will stay adhered to your vehicle. There are two common problems that occur with damping materials. First, they simply may not have a strong adhesive or they require extensive surface preparation to stay adhered to a panel. Some damping materials will stick to slightly dusty surfaces without any problems. The second and more important concern is that the material itself is thermally stable. You don’t want the deadening to peel off when it gets hot in the summer. We’ve heard of many cases where vehicle carpets and headliners have needed to be replaced because damping materials turned to a liquid and contaminated them. If you want your car doors to close with a thud instead of sounding tinny, if you want to reduce the road and exhaust noise in your car or you want to improve the performance of your hands-free phone system, drop by your local mobile electronics specialist retailer and ask about having sound deadening installed in your vehicle. We know that you will be thoroughly impressed with the improvement.